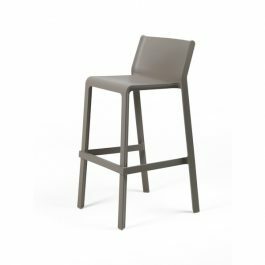 Trill Outdoor Stool 750mm beckons you to sit, relax and unwind after a hard days work. A sturdy commercial stool designed for maximum comfort and durability. A Trill Outdoor Stool 750mm is especially suited for a pool area, don’t hesitate to take a dip as the stool is designed to take the brunt of getting wet, it’ll drain quickly and prevent pooling on the seat. What you see is what you get, Snow Outdoor Café Chair is a simply designed chair that can be dressed up or down and used indoors or outdoors. Keep it low key, with neutral tones of the Snow Outdoor Café Chair in white, dark grey, taupe and black or throw in a shot of colour with vibrant yellow and red. are unobtrusive yet define a sense of personal space for those seated. 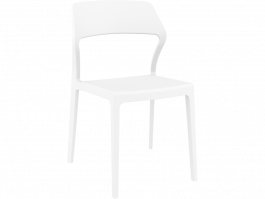 These chairs aren’t stuffy, they’re ideal for educational facilities, an office or reception waiting areas. Plus Outdoor Café Chair is produced with a single injection of polypropylene reinforced with glass fiber, a result of latest air moulding technology. The chair is solid yet light at the same time so easy to stack and store. Choose from our designer outdoor furniture to place in your backyard or by the beach. Look through our range of exquisite furniture settings, and pick one that resonates with you and your home. © 2017 Outdoor Furniture Online. All Rights Reserved.